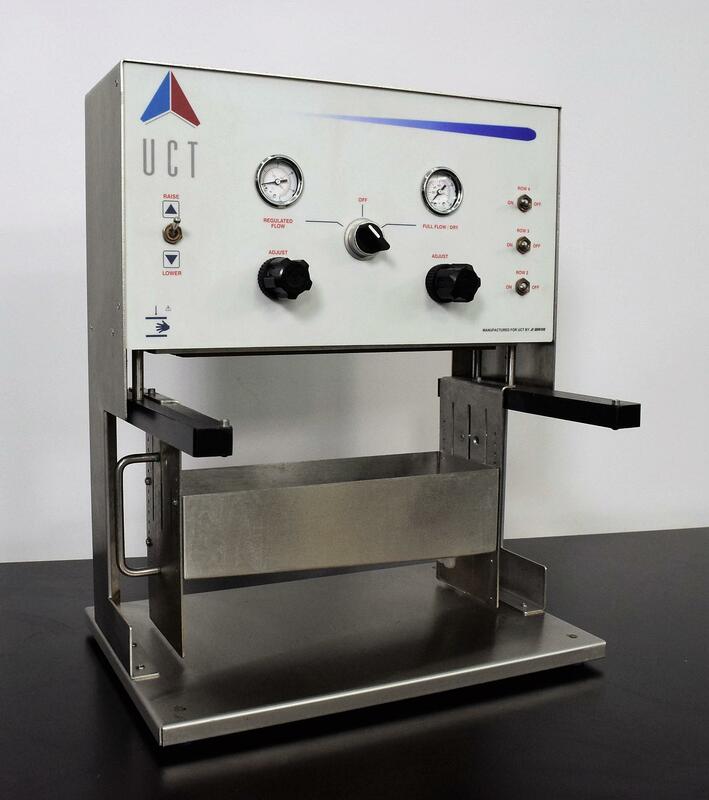 UCT Positive Pressure Manifold UPPM Solid Phase Extraction w/ Waste Container . New Life Scientific, Inc.
Our technician inspected and tested this UCT Positive Pressure Manifold. The instrument was connected to an air supply, able to raise and lower the manifold as it would in normal operation. The PPM utilizes pressurized gas (i.e. compressed nitrogen or air) to move sample solvent through SPE cartridges at a controlled rate of flow.